When her best friend, is murdered, Reyna Cruz doesn’t believe the police have the whole story. An investigator by trade, she has the talent to track Summer’s killer, but when clues lead to a family connection and a vicious gang, she suddenly becomes the hunted. At the end of her rope, Reyna must decide to trust the God she believes abandoned her. I lurk in the shadows of the normal world. A recorder of sins, I dwell in the gray of secrets and lies. I capture images of infidelity, and follow the printed trails of stolen promises. Nothing stays hidden from me, no matter how deeply it’s buried. I am a purveyor of all that is protected, and I am very good at my job. That is how I came to be on the fourth floor of an abandoned carpet warehouse with my camera on its tripod and a foam cup of coffee in my hand. A client, for whom I’ve done numerous jobs, asked me to keep an eye on his business partner. For the last four weeks, I’d tracked balding, middle-aged, Norman Bower from his lunch meetings to his handball matches and back to the office. I’d snapped images of him buying shoes, awkwardly flirting with a waitress way too young for him, and sneaking cigarettes in the parking garage before heading home to his wife and kids. My client was convinced Mr. Bower was passing information about their sealed job bids to a rival company and wanted proof of cavorting with the enemy to use in a take-over. Unfortunately, Mr. Bower’s only vice was that he was incredibly boring. Still, I was on retainer, so I took a few more shots of Mr. Bower seriously testing the strength of his sweat suit material while trying to achieve the downward dog position in his beginning yoga class across the street. My phone buzzed and I answered it while packing up equipment. There’s no way Bower would try to court a client while sweating like a junkie and fighting off a heart attack. I was done here. My heart sank when I heard Summer on the other end. I recognized the way her words sounded through a busted lip, and I gritted my teeth, willing myself not to get upset. Summer’s husband was an animal. “Yeah, Summer. How are you?” I shoved my camera into the case and rubbed my eyes. Jimmy was her brother and the only decent male in her life. He wasn’t a cop, but monitored the chatter on the sheriff’s frequency whenever he could. Jimmy listened for domestic dispute calls almost compulsively. That he’d hear his sister’s was only a matter of time. I was not shocked. Summer was married to a prominent pharmaceutical executive who considered beating his wife a valid form of communication. Summer was eight months pregnant. I refused to say his name. I refused to grant evil the courtesy of the familiar. Her voice cracked, and I knew she was trying to hold back tears. “You press charges is what you do.” I’d lost count of the times we’d had this conversation. I said a silent thank you for Jimmy. He loved his sister and put his job on the line for her. She was always too afraid or felt too responsible for upsetting Parker to file charges against him. Maybe this time something would finally change. She and Jimmy were the only ones who called me Rain. She didn’t answer me, and then I heard her sniffling. I felt like a jerk. The last thing she needed was for someone else to make her feel like she was in the wrong. I took a deep breath and tried again. She laughed in her quiet way; like she used to do when we were kids. I rested my head against the metal warehouse wall, a headache coming on. I had invested in lake-side cabins all over California when my business had taken off. A company took care of maintenance and rentals for me. I’d done well over the past four years and now took clients by referral only. My five figure retainer kept me in a nice building in the San Francisco Mission District. A brass plate with Rain Associates was the only evidence of my professional life. Discretion was my bread and butter. I was desperate to convince her. Her voice was tense, defensive. Defeated, I heard another voice in the background, and then the phone changed hands. Jimmy’s laid back drawl came across the line, and his crooked grin flashed behind my eyes. Originally from Louisiana, he and Summer had moved with their family to Seattle when they were fourteen. They were twins and my very best friends in the world. Jimmy, at one time, had been much more than that. “It’s Reyna. Rain was my nickname in grade school,” I said sternly. I could tell he was looking at Summer by the way he emphasized his words. I said it a little too loudly. My hands shook, and I fought for control. I was angry. At Parker for being who he was, at Summer for being a victim, and at myself…for thinking that way. I looked at my phone to be sure I was still connected. I could tell he was mad. Jimmy never gave up on anything...ever. I had disappointed him. I could hear it in his voice. I hesitated. I didn’t want to fight with Jimmy, but then again, I did believe that. Jimmy was silent. I could imagine him grinding his jaw on the other end. I sighed. This wasn’t his fault. He didn’t answer me. He said something to Summer and then she was back on the phone. My eyes filled, and it felt like I was stepping across this widening chasm, away from Summer and Jimmy. She used to say that to me all the time in high school. It still made my heart ache. She was silent on the phone, hopefully letting what I said sink in. Q1. 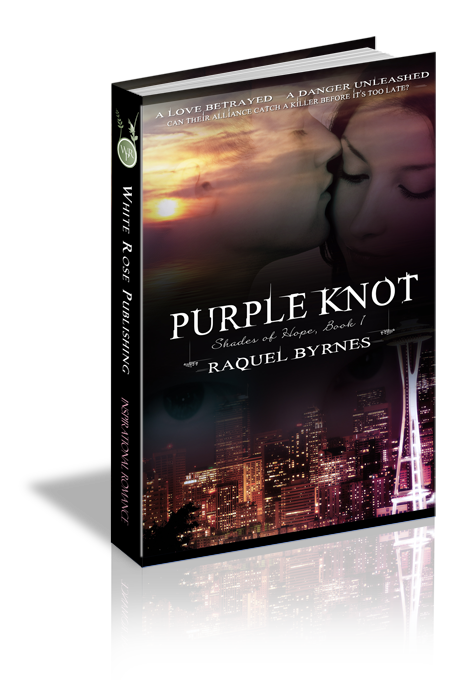 Reyna's best friend is caught in an abusive marriage. Reyna reacts by stepping back from the friendship out of frustration. Have you ever been in a similar situation? How might you have handled it differently? Q3. Jimmy and Reyna must go up against powerful families and dangerous individuals to get to the truth. Sometimes she feels like she doesn't have the strength. Have you ever felt overwhelmed by an enemy or situation? How did your faith get you through it? Q4. How does Jimmy show Reyna what God's grace is and how it healed his heart after thei tragedy? Who in your life has been an example of God's grace? Q5. Reyna comes to realize that her anger is destroying her relationship with God. Is there something in your life standing between you and a closer relationship with the Lord?